The world’s largest producer of farmed salmon is headquartered in Sandviken. Marine Harvest produces around 6 million meal-sized portions every single day, all year round. he story of Norway’s fish farming success started in the 1960s with one of Marine Harvest’s predecessors – Mowi. Since then, the aquaculture industry has developed beyond all recognition. From a few score tonnes of salmon in the early 1970s, Marine Harvest alone now produces some 400,000 tonnes of salmon each year. That corresponds to more than one meal for each and every Norwegian, each and every day. Today, Marine Harvest has operations along the entire Norwegian seaboard, from Flekkefjord in Agder to Kvænangen in Troms. In addition, the company farms salmon in Chile, Canada, Ireland, Scotland and the Faeroes. The company has a workforce of around 13,000 people. In 2011, the board decided to relocate the company’s headquarters from Oslo to Bergen. It takes two-three years from the roe hatch out until mature, table-ready salmon are sent off to the more than 70 markets Marine Harvest supplies. The entire journey from hatchery to mealtime has been quality assured by Marine Harvest. Controlling the entire value chain is important for the world’s largest salmon farmer. “We span the whole production process from the roe is fertilised until the salmon is on a dinner table in Japan. That includes feed production, broodfish, roe, harvestable fish, processing, distribution and sales,” says Aarskog. Up until 2014 the company did not produce its own fish feed. However, this all changed when Marine Harvest opened its first feed factory in Bjugn, Trøndelag. The factory has been a success from the outset. It was also built to reduce the industry’s overall carbon footprint. “We use established technologies, but put them together in as optimal a way as possible and with the aim of creating as small a carbon footprint as possible,” the company’s CEO explains. At Valneset, where the factory is located, there is wind power available, and LNG ships can dock and connect up to the factory’s tanks. In addition, boilers and dryers in the processing plant all run on natural gas. The feed boats that shuttle between the factory and the various fish farms also run on LNG. “Our fundamental philosophy is that we shall be the best. 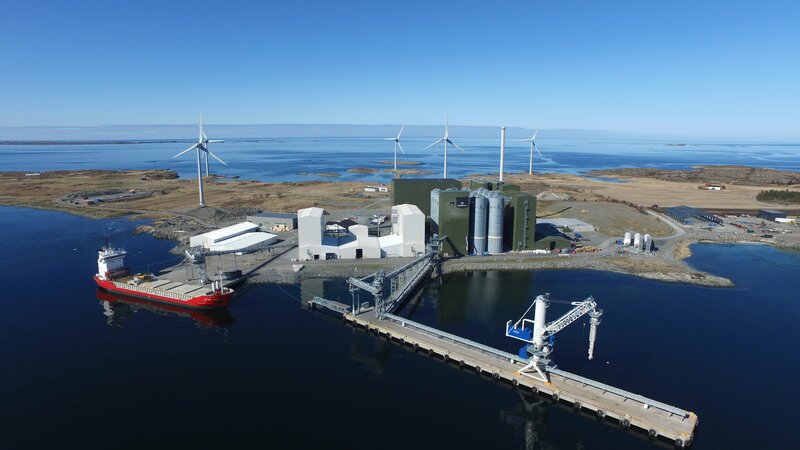 The way we use wind power and LNG for both the factory and the fleet ensures that this project has been the most environment-friendly of its type that we have seen,” says Aarskog. 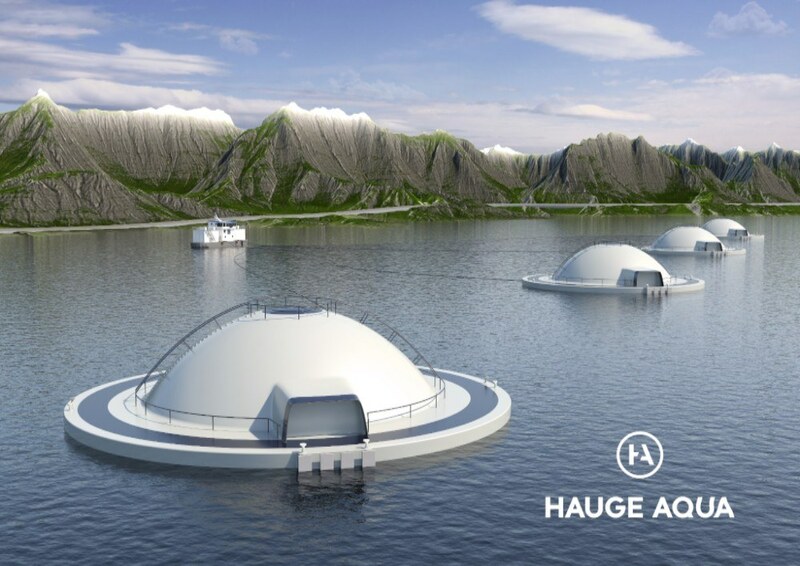 Following the positive experience gained at Bjugn, Marine Harvest has decided to build a second feed factory. This one will be located in Scotland. 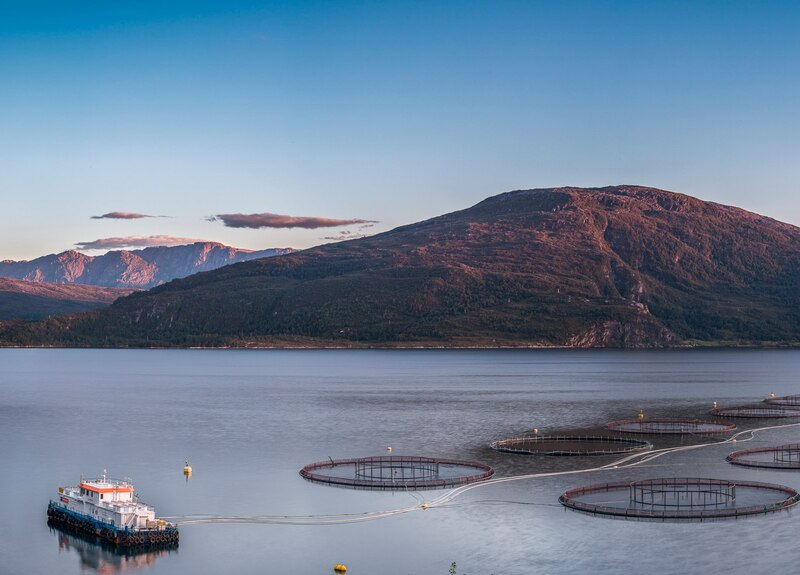 Marine Harvest has made it perfectly clear that if Norway is going to multiply its output of salmon many times over, it must be done through new and better technology. In the past year, the company has applied to the government for development licences for a total of four different concepts, which could all help to resolve the lice issue and revolutionise the way we produce farmed salmon. “Marine Harvest’s vision is to lead the Blue Revolution. 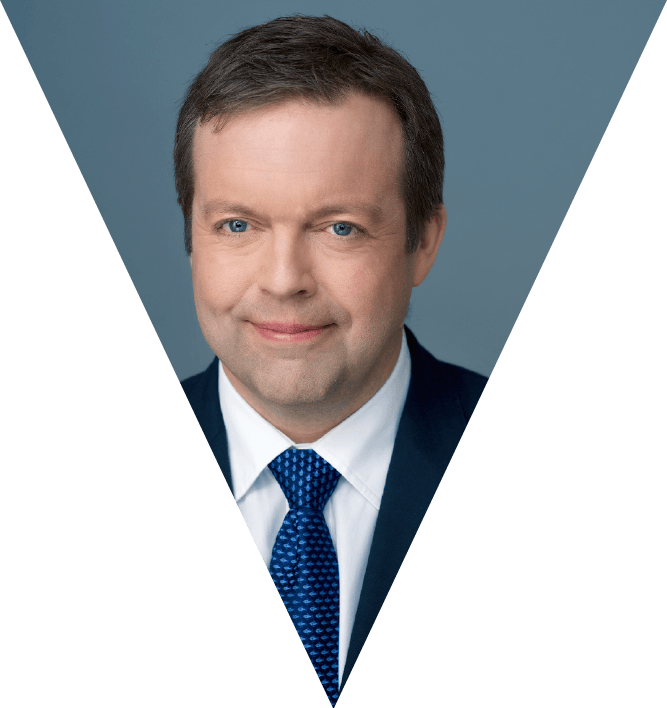 We want to lead the way and develop tomorrow’s solutions that provide increased value creation along the entire coastline, as well as healthy and tasty food for a steadily growing global population,” says the company’s CEO Alf-Helge Aarskog. Marine Harvest ASA is the world’s largest producer of farmed fish and is headquartered in Sandviken. The company has around 13,000 employees in 24 countries. In 2016, Marine Harvest produced 380,621 tonnes of salmon. This corresponds to around 6 million meals every single day, all year round. The company generated revenues of EUR 3,510 million in 2016, and is the eighth largest company on the Oslo Stock Exchange. Almost 8,000 of the company’s over 20,000 shareholders are from Norway’s West Coast. Around 90% of the shareholders are Norwegian. Since 1991, the number of owner-operated aquaculture companies in Norway has plunged from 800 to around 150. The ten largest producers account for a growing proportion of total output: from 19 per cent in 1996 to 69 per cent in 2015.